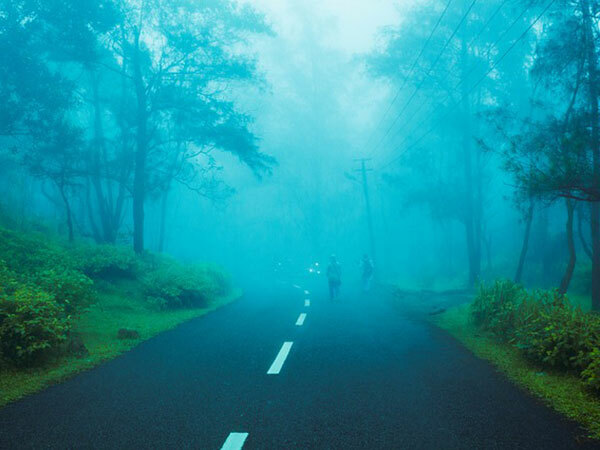 »Head To The Hill Stations In The Eastern Ghats And Experience Ecstasy! It is a simple speculation as to in which states exactly would the Eastern Ghats mountain ranges in India are located? These include the states of Odisha, Andhra Pradesh, Karnataka and Tamil Nadu. It is a paradise for adventure as well as comprises of beautiful places to laze away your time in a complete merriment. Let us talk about the most elevated mountain peak cradled in the Chandragiri-Pottangi subrange of the Eastern Ghats. Its location points to the Koraput town in the Koraput district of Southern Odisha. Deomali Peak which is in closest proximity of Doodhari village is undoubtedly the highest peak present in the state! The impressive hillock and magnificent 5 km-long flat surface present with an 'm'-shaped peak is quite a picturesque representation of beauty. Always visit the gorgeous hills during either the summer or winter season. Bad roads could be a roadblock during the monsoon months and you will not like that! The nature enthusiasts and adventure buffs shall find this place simply adorable. Araku Valley will give you this feeling of being surrounded by the mountain ranges of the Eastern Ghats at a heightened elevation of 2990 ft. You should not miss out on splendid places of tourist attraction here like the Chaparai Waterfalls, Ananthagiri Hills, Padmapuram Botanical Gardens, Araku Tribal Museum as well as the Borra caves. Chapari Waterfall,is admired by yet another name which is Dumbriguda Falls. It is one mesmerizing place which unfolds with sprawling greenery all around it. It is a lovely place to unwind with your friends and family and enjoy yourself to the fullest. The enchanting beauty of Ananthagiri Hills, some 26 km away is a tiny little hill station enclosed in between Araku and Vizag. It is a significant hill station of Andhra Pradesh. Numerous coffee plantations and waterfalls add a fresh vibrancy to it with a hint of happiness. The Padmapuram Botanical Garden plays an important role in Araku Valley's history. You shall find the most beguiling flowers and gorgeous trees in this zone that are extremely rare in any other place. Did you know that this place served an important purpose in the second world war as well? Yes, the soldiers derived their vegetable supplies from here. Nevertheless, the garden was later transformed into a ravishing botanical garden which highlighted several alluring tree huts. If you ever visit Vizag, then do not miss out on Borra Caves, it shall leave you spell-bounded. They are the gigantic caves in the country which are at an elevation of 705 m. Catch a glimpse of this exotic beauty in the natural skylight and the caves made of karstic limestone shall leave you speechless! Have you ever imagined the beautiful hue of colours proclaiming the presence of stunning hills? When its an amalgamation of Cornflower blue and Alenxadrite Green, its Pachaimalai Hills for you! Green stands for the engaging hills while blue represents the bewitching skies above! The greenery of the place is worth a million praises and you know what is the best part? This hillock on the Eastern Ghats near Tiruchirapalli is an unexplored mystery to tickle your adventurous spirit. Not to forget the melodious tunes of the rivers Sweata and Kallar besides Koraiyar, Mangalam Aruvi and Mayii Uthu Falls. Are you aware of the 'Kashmir of Odisha'? It is an alluring hill station of the Eastern Ghats which shall leave you breathless by being almost 3000 ft above sea level! It is bordered by ravishing rain forests, lustrous coffee gardens as well as sparkling green valleys. It is located in the Kandhamal district of Odisha where the mercury generally swoops down to nought every chilly season. Awesome getaway from Bhubaneshwar, Kolkata and Vishakapatnam: it shall provide you with wisps of peace from the daily humdrum of life. When we talk about these hills and look to the left, we shall come across the Chotanagpur Plateau in the northern side, the Utkal plains in the eastern side, the Mahanadi basin or Chattisgarh plains in the west as well as the Eastern Ghats in the southern region. What makes these mesmerizing hills all the more special? It contains crystalline rocks such as granites and gneisses that shoot back to the Archaen period. Another interesting fact can be that it has the Talcher, Barakar and Kamathi series of rocks comprising shales and sandstones which lie in the Sambalpur and Dhei districts. When it comes to the Papi Hills, we shall define its location as an amalgamation of the Khammam district in Telangana and East Godavari and West Godavari districts of Andhra Pradesh in India. What are the tourist places of attraction which shall take you by awe? It is the temple dedicated to the deity named Gandipochamma., Huts known as Kolluru are present here, where you can relax and rejuvenate your soul as well as visit the Pamaleru Wagu where water trickles down the hills. Tourists enjoy a wonderful bath there plus you shall also come across Polavaram which is a dam still under the process of construction. Let us discuss this splendid hill in the north-central Tamil Nadu state of Southern India. The most elevated peaks are present on the south-western side at Sanyasimalai on the plateau of Yercaud. There is also aluminium-processing plants present at Mettur and Yeracud given the abundant bauxite desposits present in the region. . The plateau also does not miss out on the growth of coffee plantations which crops up on a wide scale. A British officer had set up a hill station at Yercaud in 1845, which now gladly flaunts a lovely resort and quite an important educational centre. Let's talk about these hills which are located in the Eastern Ghats and pull the Kaveri river basin to the south from the Palar river basin to the northern side. The hill here are extending from 2000 ft to 3000 ft and sprawling over an area of 1095 sq.km. Imagine sprinkling cold and scented water on your face on a hot, sunny day? Doesn't the thought itself invigorate your senses?The presence of Gomukhi dam, Megam and Periyar Falls cradles near the bottom of the hills give you that feeling of coolness. Trekkers and people who adore adventure, shall love it here! An atmosphere of peace, a pleasant climate and attractive botanical garden shall lure you here for sure! When it comes to the Chitteri Hills, it is an exciting mixture of numerous types of vegetation such as the evergreen, the riparian, the dry mixed deciduous trees as well as the dry deciduous scrub and not to forget the southern thorn scrub forests. The hills huddle together to comprise of a bunch of hills with tangled ridges as well as ravines in the northeast and southwest directions, enclosing several narrow valleys such as Kellar, Varattar, Anaimaduvu and Kambalai.